How easy it is to press a key? Sounds minute but, as a long time gamer and writer it plays an important role after long hours at your desk. 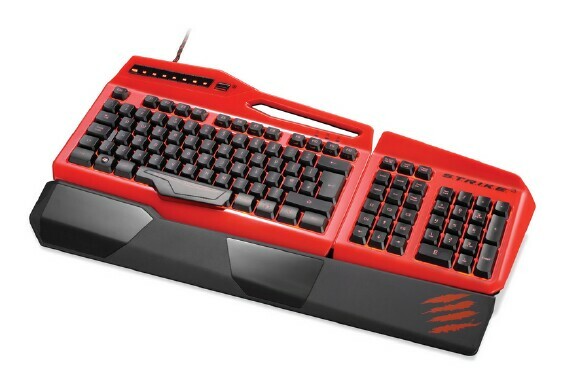 Mad Catz's answer to this is a P.U.L.S.E key bed which reduces hand fatigue and provides a quick response even for the slightest of double-taps; the result will be less hand movement and finger stress. Which brings me to my next question: how many keys can you press at the same time? The S.T.R.I.K.E. 3 has Anti-Ghosting, which on this keyboard means you can hit seven keys at the same time and get each function to work. In some forums this is called face rolling. Now with all this quick movement, I'm sure there will be the occasional slamming. So, how long will it take the abuse? 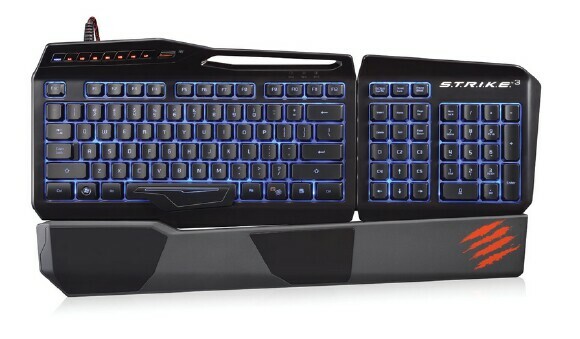 Mad Catz boast that the S.T.R.I.K.E. 3 will last 5X longer than your average keyboard. Windows switch lock - if you're clumsy and have a habit of knocking yourself out of a game and onto your desktop, this handy little on/off switch will help you by taking that function out. Short cut keys - F5 -12 double as short cut keys with the help of the function button. These seven keys will handle volume, brightness and playback. 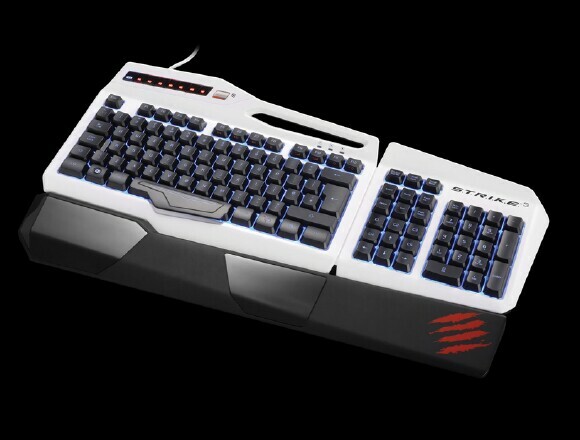 Macros - There are 12 buttons in total M1-7 on top & C1-5 around the arrow keys both sets are programmable via the Mad Catz keyboard Software. Mode – This button will switch you between 3 custom profiles as fast as you can press it which means Making mid battle changes when needed. Programming – This is where the Macro magic happens for all twelve Keys (Top M1-7 & D-Keypad C1-5). You can chose shortcuts normal to any keyboard, specific keystrokes or a custom combination. If you have a set of keys you like you can add them to your favorites. If you haven't done the math that's 36 macros between all three profiles. Settings – This is where style and color come to play. Its main purpose is to set the distinction between the three profiles. You have a palate swatch or a RGB Dial to make any of 16 M colors available. Support – This page is to trouble shoot, download drivers/profiles, and if all else fails Submit a ticket for any problems or needs that arise. So far I have tested this keyboard out for about 15 hrs of gaming tossing in have seven hrs of typing in a 3 day time period. I have had a very smooth transition of switching from a standard keyboard to the S.T.R.I.K.E. 3. 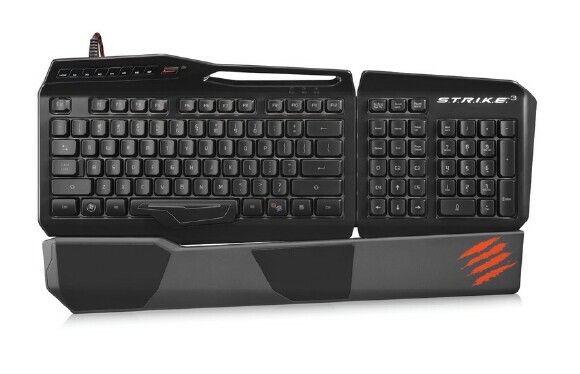 The constant key pressing and ergonomic setup during gameplay shows the keyboard's level of comfort. I will admit I haven't got used to the C1-5 keys and keep forgetting they are there. The M1-7 keys aren't as hard to press as I thought they would be but, if I'm not looking carefully instead of hitting M1 I end up switching modes. I enjoy using macros at home for certain task and I haven't had any problems but I do keep in mind that in competition some macros will not be accepted. The S.T.R.I.K.E. 3 is a pretty solid keyboard with keys that are so soft, I can only describe it as silk on my fingertips. I have been pressing every key on every keyboard I find and the difference in resistance when compared to the S.T.R.I.K.E. 3 has made me retire my old one and I will not go back. I am a big fan of the aesthetics of this keyboard and thanks to the custom backlit option, when I'm not playing a specific game/profile. I can have it match the color scheme of my PC. While the S.T.R.I.K.E. 3 can be used as a "competition keyboard", but for you casual users, don't let the word "competition" scare you away as this particular keyboard is quite easy to use offering up a quick response, illuminated keys & great lettering making this an excellent keyboard that's just right for the picking. I am probably going to be the only one who found this as a problem but I was hoping for a way to enter HEX color code for that precise look. I finally got the right color and it matches my color scheme very well using the RGB adjustments but it's not precise, and even though it looks the same…I know it's not.